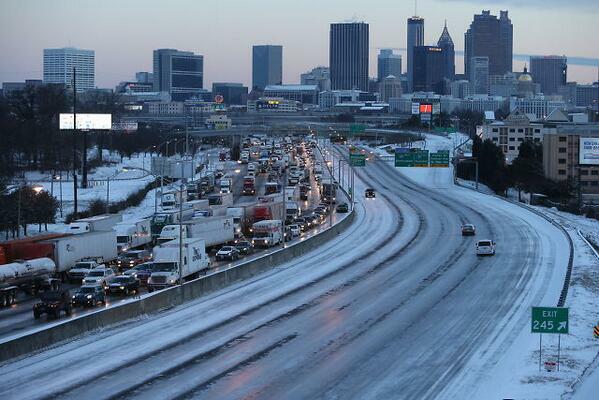 Two inches of snow in Atlanta just set off the zombie apocalypse. 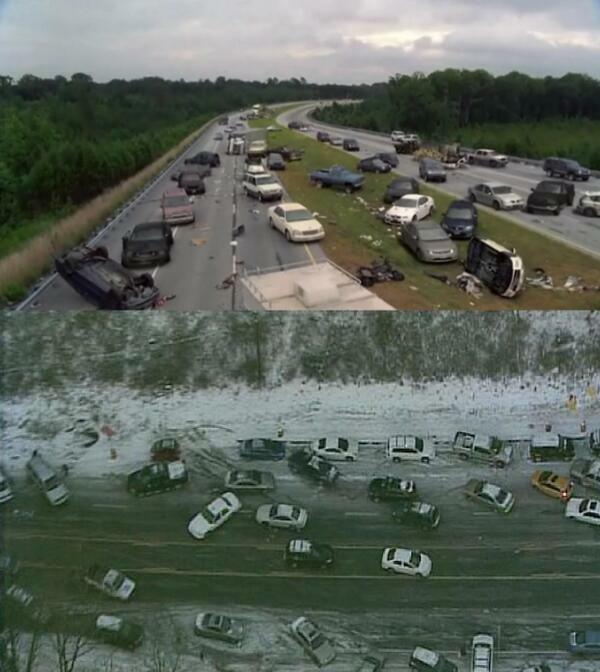 Hmm Walking Dead photo on top Atlanta interstate on the bottom after 2 inches of snow. 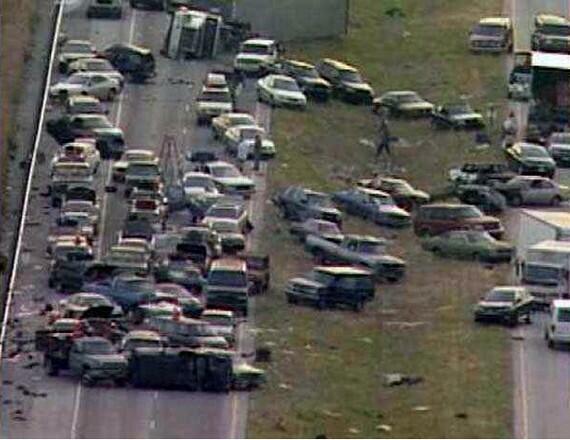 Correction: A photo that originally appeared on this list was actually from a 2011 storm in Chicago.